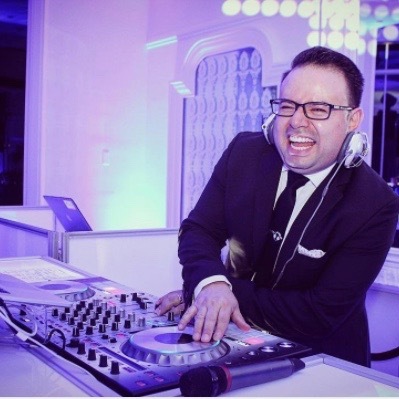 In the world of entertainment the MC & DJ teams are the most essential service of them all. Our ability to read a crowd and have the MC and DJ transform their styles to fit your event. Clients will be paired with the best team for their unique day! From the elegant use of conventional lighting fixtures for your corporate event to the sophisticated use of intelligent lights for your cocktail party, Lighting is great way to create the ideal ambience for your event. Draping can be used as decor to soften the rooms aesthetic, but can also serve a practical purpose by creating / dividing distinct spaces. Our draping comes in black or white and can the height be adjusted from 4 Ft to 14 Ft. The stage serves as a space for presenters or performers and a focal point for the members of the audience. They are available in white and black from 8" to 16" in height. Photo booths are more versatile than ever! Choose from an Open Air Booth, Lounge Booth, Selfie Mirror, and more. All photo booth packages include on-site tech, props, custom print outs & USB!. We can pair you with a variety of live bands for any type of event. Our offerings include 8 to 11 piece orchestras that will rock your event or a 4 piece jazz band for a small intimate gathering. We can also arrange to have an Italian, Greek, Latin or Arabic band perform. This is the area where you can let your imagination run wild. In addition to all the core services, you can hire talent for your event that will surprise your guests above and beyond. You can hire a Sinatra style singer for cocktail hour, a face painter for the masquerade theme, an LED illuminated Robot to take an event to a new level or just a few interactive dancers to motivate the crowd. Do you want to add a little bit of fun to your next event? We got it covered, with a wide range of indoor and outdoor games be assured that every guest will have a great time at your next event. We offer anything from casino tables to virtual reality to ping pong! Bringing in your own presentation or DJ? Let us hook you up and ensure you sound your best! From microphones to speakers & mixing consoles, we have you covered. On-site technicians will setup the equipment, stay for the duration of the event, and breakdown. We even offer laptops & ipods if you dont have your own. At Eclipse Events, our mission is to always convey a passion for our work to our clients and to consistently deliver the best possible experience. We achieve that by providing a timely, responsive service with integrity, simplicity and the utmost professionalism. Our start in the entertainment business began some 30 years ago as a side business. In 2002 we created Eclipse and went full time with our dream. This business is built on a foundation of hard work and unending passion for our craft. We continually update our equipment and raise the bar on what is possible. This is what gives us the edge against our competitors. We have an understanding that your event is uniquely yours and that alone is what has propelled us to being one of the most awarded and recommended event entertainment and production companies in the tri-state area.